Acting President Tokayev did not immediately reveal if he will run. Kassym-Jomart Tokayev addresses the nation. 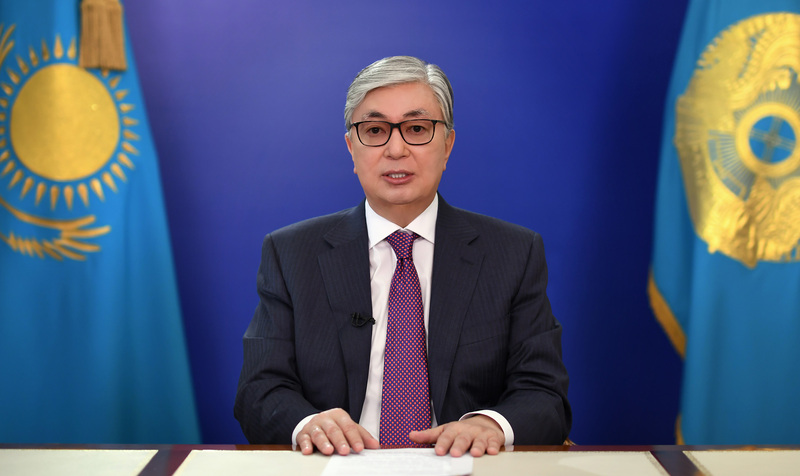 Acting president of Kazakhstan Kassym-Jomart Tokayev set the clock ticking on the next stage of the country’s political transition by announcing that a snap presidential election will take place on June 9. Tokayev, 65, made the announcement in a widely watched televised address to the nation on April 9. He did not immediately divulge if he intends to stand. The vote will mark the closure of a season of changeover that began with the surprise resignation of former President Nursultan Nazarbayev on March 19. Tokayev said he made the decision to hold the election in consultation with Nazarbayev, who continues to wield considerable influence in his capacity as head of the national Security Council. Tokayev offered assurances that the elections would be fair and open. No presidential vote in Kazakhstan has ever been given a full bill of health by observers from the Organization for Security and Cooperation in Europe. The likely list of viable hopefuls for the presidency is very short since no political figures beyond Nazarbayev have much of a significant public profile. Other than Tokayev, one option is Nazarbayev’s daughter, Dariga Nazarbayeva, but she took up a position as speaker of the Senate just days after her father resigned. Nazarbayev won Kazakhstan’s last presidential election, which also took place before schedule, on April 26, 2015, with 97.8 percent of the vote. Heads of state are permitted to serve for a term of up to five years, so the next election would have been scheduled to take place no later than April 2020. This is a fraught point, however, since the constitution also requires the presidential election to be held in December. By calling a vote, Tokayev is explicitly seeking to put rest to any anxieties about political unpredictability. “In order to ensure social and political harmony, to confidently move forward, to address the demands of social and economic development, it is necessary to get rid of any uncertainty,” he said in his televised address. This article has been updated to include context and quotes.